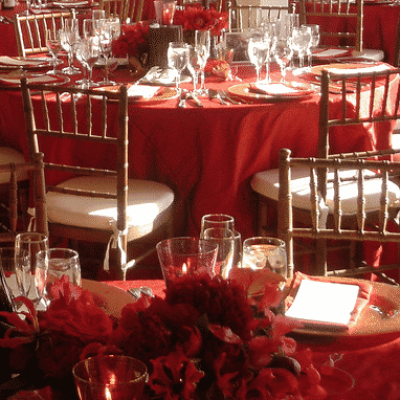 HOST YOUR SPECIAL EVENT WITH US! EAT . DRINK . BE MERRY . AT LAUREL LANE! 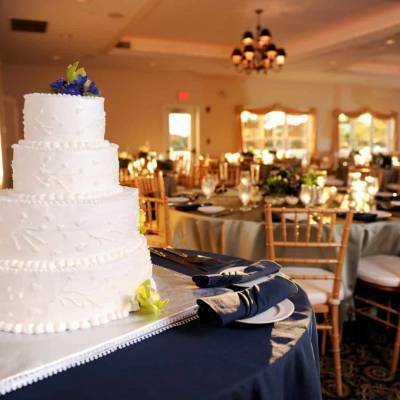 Let us help you host your Special Event at Laurel Lane Country Club! 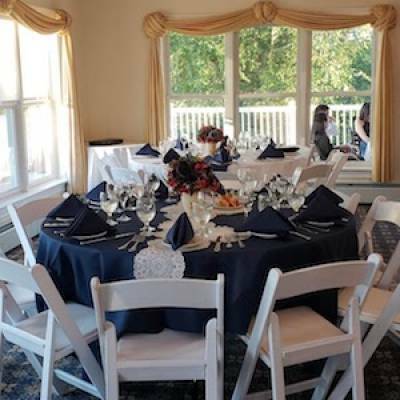 Laurel Lane’s clubhouse provides a picturesque setting for special parties, golf outings, and events. 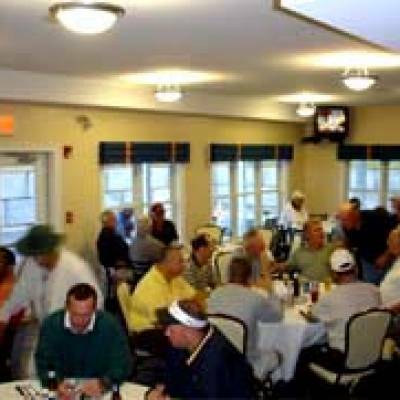 The clubhouse is tastefully appointed creating an inviting and comfortable atmosphere with a covered portico and ample parking. 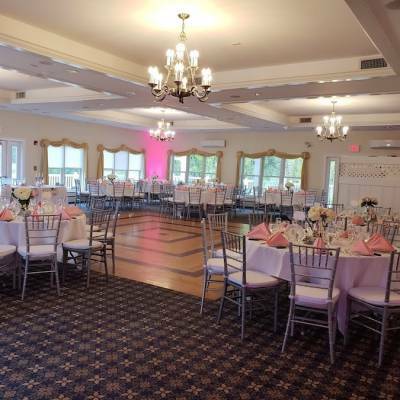 Our elegant Ballroom is the perfect spot for your Grand Event featuring expansive windows, chandeliers, wooden dance floor, and doors opening to the wrap-around-deck overlooking the golf course. The Ballroom seats up to 150 guests. 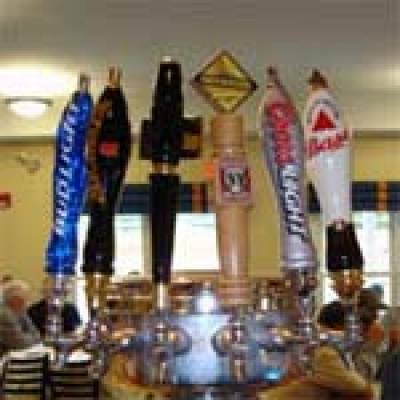 CaddyShack is also a favorite spot to host small gatherings, business meetings, and parties! 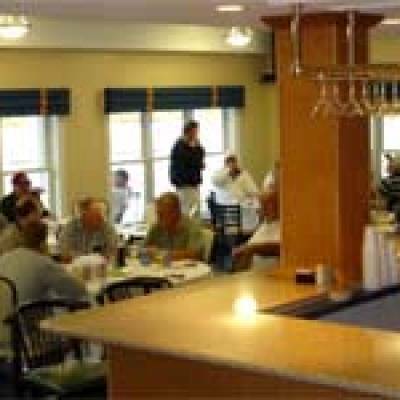 The CaddyShack Restaurant and Bar accommodates up to 75 guests and offers a private entrance from the parking area (first floor entrance) with an outdoor eating area and attached restrooms. 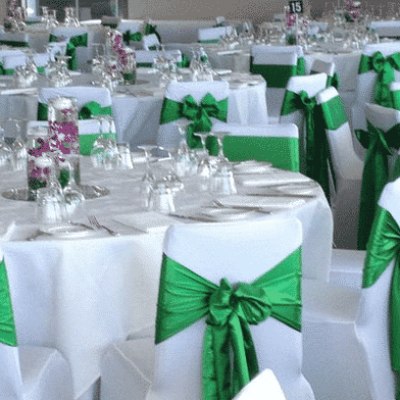 HOST YOUR EVENT IN OUR BANQUET ROOM! HOST YOUR EVENT IN CADDYSHACK!